Russia and Brazil meet in Moscow on Friday as the teams continue their preparations for the 2018 World Cup. 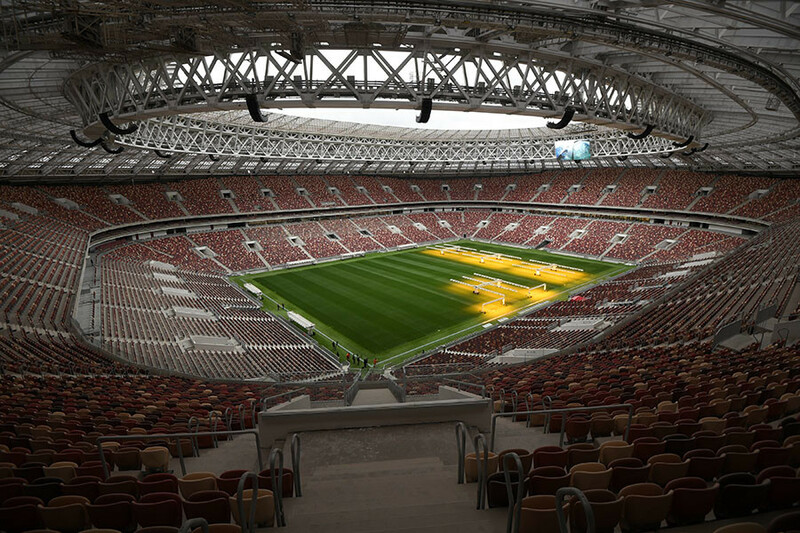 It will also be another test-run for Luzhniki Stadium – the venue which will be at the heart of this summer’s tournament. 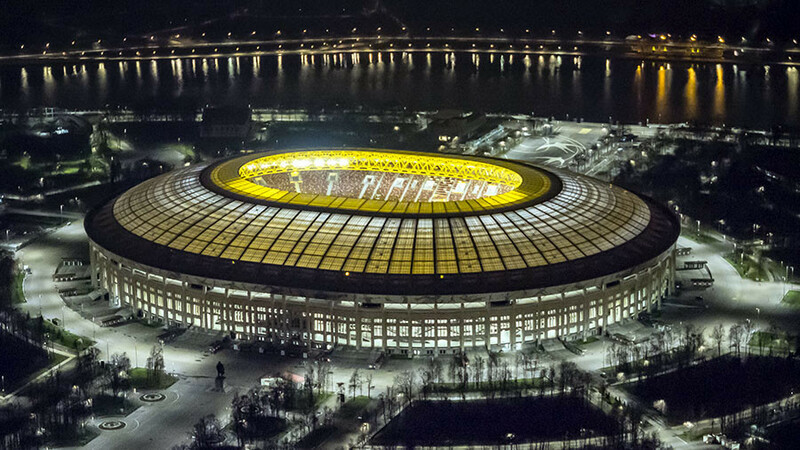 Friday’s friendly international will be the second time Russia have played at the country’s most iconic sporting venue since it reopened in November after a $400-million renovation. On the first occasion, Argentina spoiled the celebrations as they beat Russia 1-0. This time, the Argentinians’ great South American rivals are in town, and both Brazil and Russia will be keen to have game time at a venue that could be key to their respective World Cup fortunes. For Team Russia, tomorrow’s match will be another chance to familiarize themselves with the surroundings ahead of their World Cup opener against Saudi Arabia on June 14. The Brazilians, meanwhile, will want to acquaint themselves with a venue they will be hoping to appear at again on July 15 for the World Cup final. Basking in the early spring sunshine when Russia and Brazil trained there on Thursday, Luzhniki looked every bit the venue fit to host world football’s showpiece event; a polished facade, vastly improved interior and pristine natural pitch are just some of the additions ensuring the arena is a suitable World Cup centerpiece. The renovations are vast improvements from the jaded exterior and athletics track around the pitch, which made for an uninviting fan experience before 2013. Since opening as the Central Lenin Stadium in 1956, Luzhniki has racked up a proud list of events, including hosting the 1980 Summer Olympics and the 2008 UEFA Champions League final. The athletics track that surrounded the pitch is now gone, while the seating has been expanded from 78,000 to 81,000 and brought closer to the action, so that a clear vantage point is now provided from any part of the stadium. The roof has been extended to cover all the seating, and is illuminated at night to provide a spectacular light show. 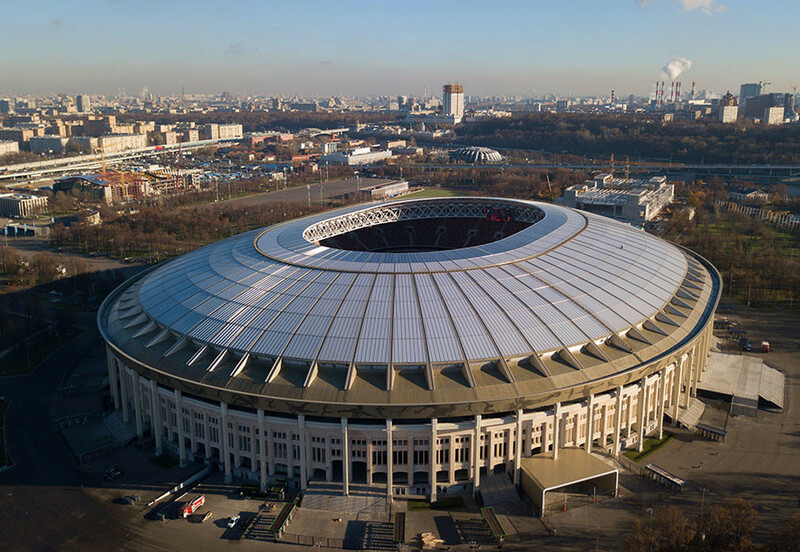 In introducing these modern and much-needed changes, the organizers have been mindful to retain elements that are essential to Luzhniki’s character. The distinctive pale-stone exterior remains, while the famous Lenin statue still proudly surveys the approach to the stadium. Around the venue, work continues on the other facilities that will be required for this summer’s tournament. The pathways and various green areas dotted along the stretch of Moscow River embankment that Luzhniki occupies are also being renovated. Transport links to the stadium have been strengthened with the addition of a nearby overland rail station – part of the Moscow Central Circle project – to supplement the existing Metro station. Post-World Cup, local authorities are expecting five million visitors a year to the stadium and its surrounding facilities. Considered in those terms, the funds invested in the renovations look like money well spent. The progress has been impressive and the changes are stunning – which is particularly reassuring in light of the news from the World Cup stadium in Samara, where they are facing a battle to be ready in time and where the pitch has still not been laid. That’s not to say organizers are complacent about Moscow’s main venue. They will be looking to Friday’s game against Brazil to manage some of the teething problems that surfaced with the Argentina game in November, in particular when large crowds complained that they were held up for lengthy periods when exiting the stadium. However, the sight of Luzhniki looking as resplendent as it did on Thursday was a heartening one. It has been home to so much of Russia’s great sporting history in the past, and will provide the stage for new memories this summer and beyond.